Memories are made of moments we spent with each other, indoors or outdoors, dancing or playing, or celebrating various festivities. For the children at ELFA Preschool, it’s all about friendship and togetherness as they learn and grow. With these in mind, ELFA marked its annual graduation ceremony concert with the theme “Together We Celebrate” on 20 November 2018­ at the Civil Service Club in Tessensohn Road. 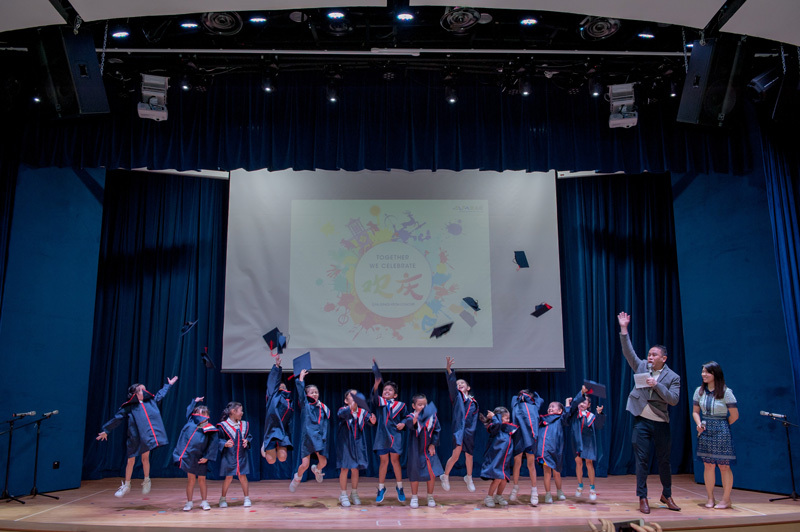 Children throwing their “mortar boards” as they celebrate their graduation. 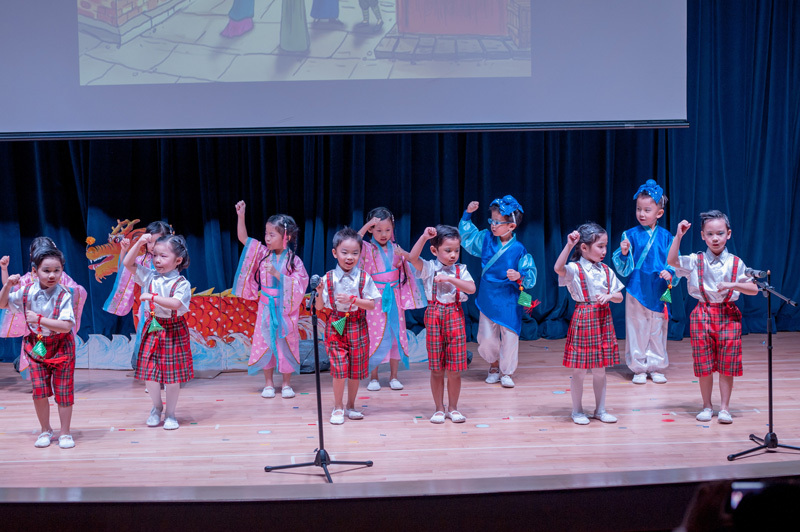 It was a joyous concert filled with music, dance and sketches as well as Chinese poetry recital, enacting the celebration of various ethnic festivities, national events and important milestones in life. 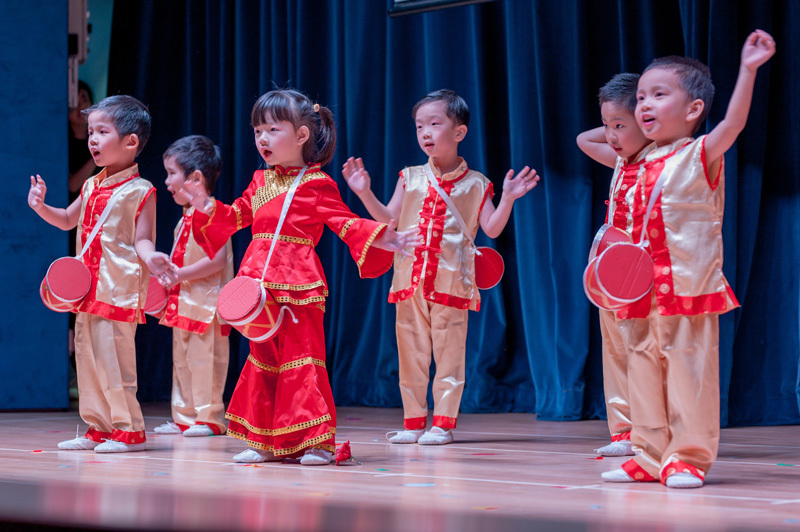 Children performing an interpretation of the Dragon Boat Festival with a mixture of Chinese fan dance, music, speech and drama. 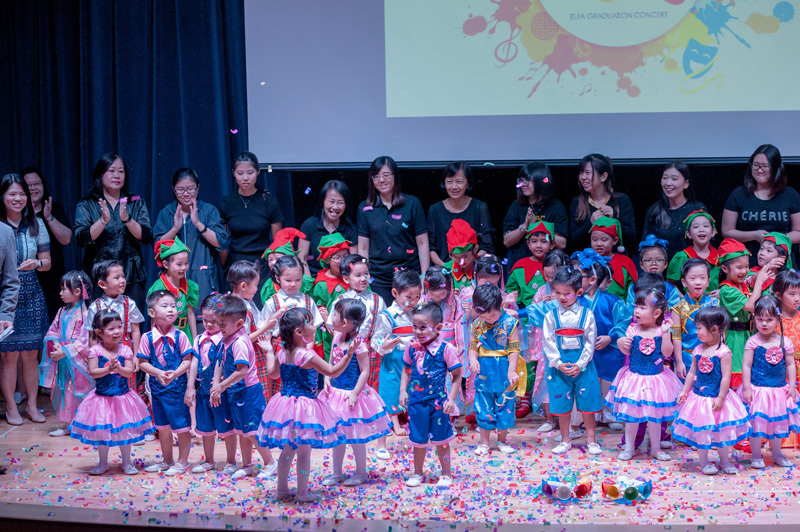 About 50 children from pre-nursery, nursery and kindergarten classes put their best foot forward to present a total of 12 performances. They “celebrated” Chinese New Year, Mid-Autumn Festival, Christmas, Valentine’s Day and even a Chinese wedding! Ushering in the Lunar New year. Parents and families were in awe of the children’s confidence on stage, the mastery of their lines and clear pronunciation at such a young age. 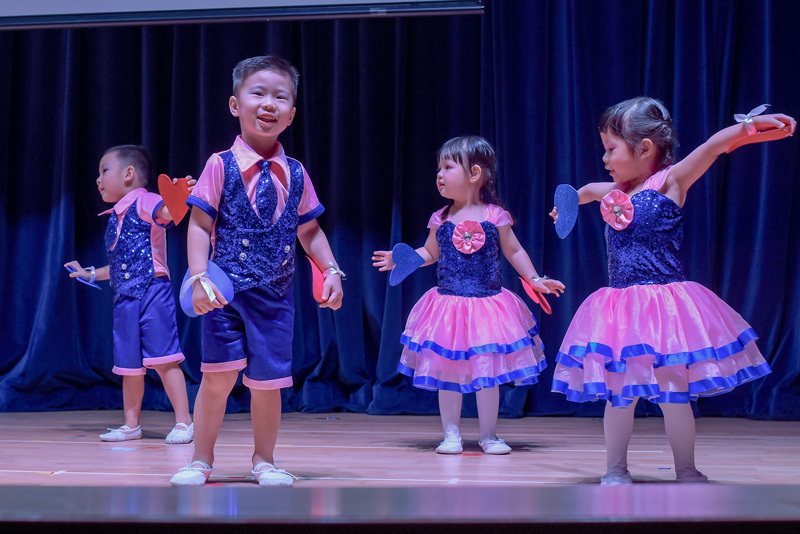 With ELFA’s emphasis on a Chinese-enriched curriculum, it was heart-warming to see the children performing with ease in both English and Mandarin.